In an interview conducted shortly before he was sworn in today as prime minister of Israel, Benjamin Netanyahu laid down a challenge for Barack Obama. The American president, he said, must stop Iran from acquiring nuclear weapons — and quickly — or an imperiled Israel may be forced to attack Iran’s nuclear facilities itself. 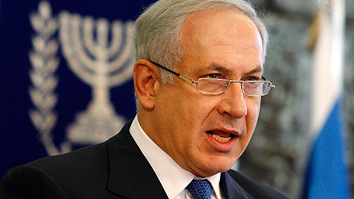 ….Neither Netanyahu nor his principal military advisers would suggest a deadline for American progress on the Iran nuclear program, though one aide said pointedly that Israeli time lines are now drawn in months, “not years.” These same military advisers told me that they believe Iran’s defenses remain penetrable, and that Israel would not necessarily need American approval to launch an attack. “The problem is not military capability, the problem is whether you have the stomach, the political will, to take action,” one of his advisers, who spoke on condition of anonymity, told me. I don’t believe Israel has the military means to take out Iran’s nuclear facilities. Hell, even the U.S. only barely has the means. So why is Netanyahu bluffing like this? To put pressure on Obama, obviously. But to what end? Why go out of his way to start off his relationship with Obama with warnings and threats? This isn’t a smart move on his part.